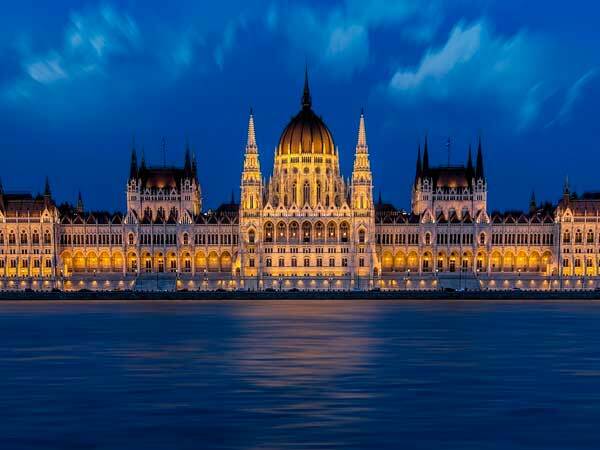 Travel through the heart of Europe aboard a luxurious river cruise holiday, travelling down the Rhine, Main & Danube Rivers on a journey from Amsterdam to Budapest. Please select the options below to view the price from your departure city. Depart Australia on your flight tonight. Welcome to Amsterdam! 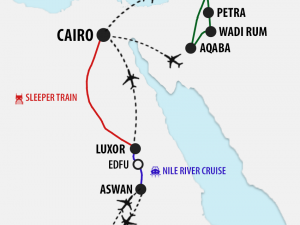 You will be met and transferred from the airport to your luxury river cruise ship. After boarding, the afternoon is yours to relax or explore the city on your own. If your arrival schedule permits, you may wish to visit the Rijksmuseum, or the Van Gogh Museum next door. This morning we sail to Kinderdijk, a UNESCO World Heritage Site, for a tour of this ingenious network of windmills and other flood management devices. You learn why the windmills were built and see how they work, plus you enter a working windmill for a tour of its mechanisms and living quarters. 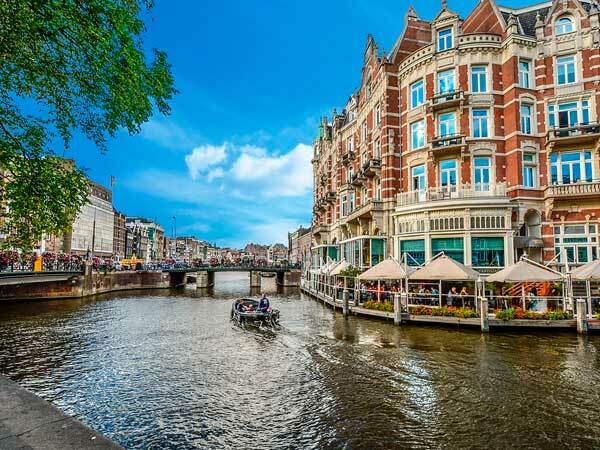 Return on board for lunch and an enjoyable afternoon of Dutch diversions: sample handcrafted Dutch cheeses and jenever, a distilled juniper liquor, and take in a culturally enriching presentation on the Dutch Golden Age. We cruise through the night. You have a morning tour of Cologne, including a visit to the Dom, Germany’s largest cathedral and a UNESCO World Heritage Site. 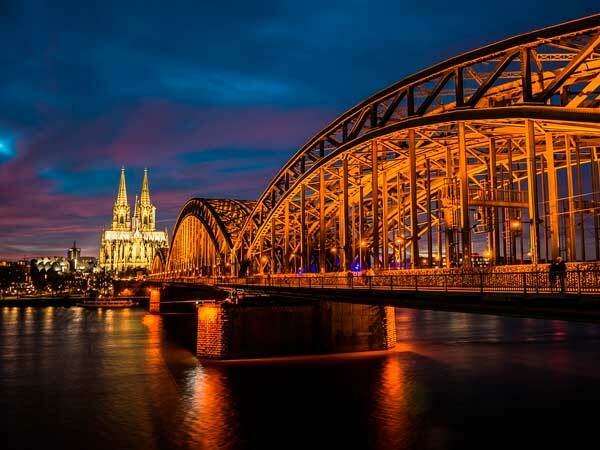 After your tour, spend the rest of the day and evening exploring Cologne on your own: There are Roman ruins, interesting neighborhoods and wonderful museums like the Fragrance Museum and the Chocolate Museum. As always, your Program Director can help you plan your free time. Or, join an optional excursion on which you ascend to the Dom’s roof, enjoying up-close views of the cathedral’s architecture and bird’s-eye vistas of Cologne. Lunch and dinner are served on board; we depart at midnight. Cruise past hilltop castles along the Rhine, stopping in Koblenz to visit Marksburg Castle, the only Rhine fortress never destroyed. After your tour, continue cruising this stunning stretch of the Rhine, a UNESCO World Heritage Site. Be sure to keep an eye out for the Lorelei Rock, which marks the river’s narrowest point and is named after the legendary Rhine maiden who lured sailors to their demise. Lunch and dinner are served on board your ship. The morning is spent sailing along the beautiful Main River as it winds its way through the Spessart region, home of the actual Snow White. During our sail, be sure to take advantage of the opportunity to learn about the region’s glassblowing traditions during a live demonstration. After lunch, we stop in Miltenberg, known for its half-timbered houses and Germany’s oldest inn. Join our walking tour that concludes with free time for you to explore. 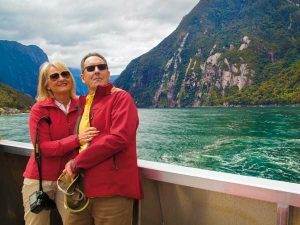 Alternately, depart the ship prior to our morning sail for an all-day optional excursion that offers a rare glimpse into noble life, enjoying Privileged Access visits to two very different castles: Schloss Mespelbrunn and Schloss Löwenstein. We sail through the night. After breakfast, tour Würzburg’s Bishops’ Residenz, one of Germany’s largest and most ornate baroque palaces and a UNESCO World Heritage Site. Or, instead, join an optional full-day journey along Germany’s picturesque “Romantic Road” to Rothenburg, with its turreted city wall and impressive Gothic and baroque architecture. Upon returning to Würzburg, enjoy a tour of the Bishops’ Residenz before rejoining your ship for dinner. 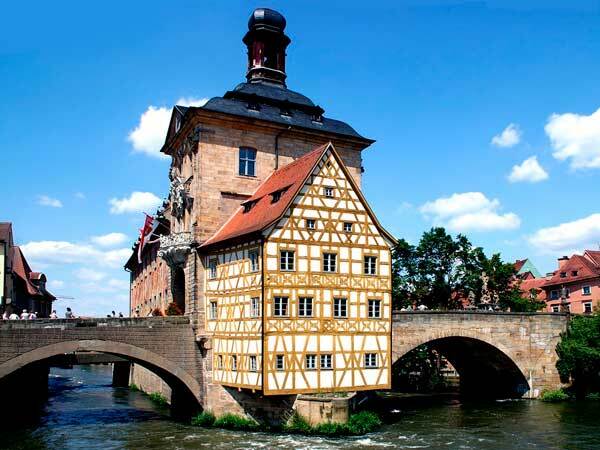 Sail through the morning; after lunch we visit Bamberg, with its medieval city center, a UNESCO World Heritage Site. 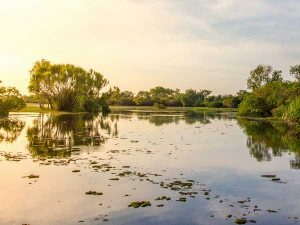 Your walking tour includes a visit to the magnificent 11th-century cathedral, reworked in late Romanesque style in the 13th century, and the picturesque city hall built on a tiny island in the middle of a river. Take some free time to enjoy Bamberg and perhaps try some of the town’s distinctive smoke-flavored beer before returning on board. After breakfast, disembark in Nuremberg and visit the ruins of Zeppelin Field, the Nazi parade grounds of the 1930s; then see the Palace of Justice, site of the infamous Nuremberg Trials. Alternately, you may take an optional World War II tour that includes the illuminating Documentation Center Museum. After lunch, spend free time exploring Nuremberg’s Old Town. Or, join an optional tour to discover the secret network of underground bunkers where priceless art was hidden in wartime. We depart just before dinner. Arrive in Regensburg midday. After lunch, tour this wonderfully preserved medieval city, a UNESCO World Heritage Site, including structures dating back to Roman times. Discover many 13th- and 14th-century patrician houses and see the splendid St. Peter’s Cathedral. During free time, visit the Alte Würstküche (Old Sausage Kitchen), Germany’s oldest restaurant. Alternately, you may choose to disembark this morning and drive with your guide to Munich for an optional full-day tour of this cultural and historic city, rejoining your ship in time to enjoy dinner on board before our evening departure. Arrive this morning in Passau, at the confluence of the Inn, Ilz and Danube Rivers. Your guided walk along the town’s narrow streets takes you through Old Town and past traditional patrician houses. Admire the New Bishop’s Residence and visit the impressive baroque St. Stephen’s Cathedral with its ornate interior. Inside, you are treated to a special concert played on the 17,000-pipe organ, considered Europe’s largest church organ.† Enjoy lunch on board your ship, and return to the city for further exploration on your own before departing. Alternately, set out this morning with your guide to enjoy a full-day optional tour of picturesque Salzburg, the birthplace of Mozart and setting of The Sound of Music. We cruise through the night. Note: The Passau Organ Concert runs 6 days a week (except Sundays) between May to October only. After breakfast, visit the abbey at Melk, a 900-year-old Benedictine monastery featuring Austria’s finest Italian baroque architecture. Rejoin your ship; cruise through the spectacular Wachau Valley this afternoon. Before dinner, you have time to explore the time-honored town of Krems and see the Steiner Tor, the last remaining city gate, or take an optional excursion to a local winery to sample some local vintages from this famous wine-producing region. Today we tour the Austrian capital of Vienna. Ride along the Ringstrasse, which replaced the city walls in the mid-19th century. See some of the city’s baroque architecture, including the world-famous Opera House, St. Stephan’s Cathedral and Hofburg Palace. Return to your ship for lunch. The rest of the day is yours to further explore. As always, your Program Director can help you plan your free time. Alternately, you may choose to join an optional excursion to see the famed Lipizzaner Stallions; or, express your creativity and create a lasting keepsake at an optional art workshop inspired by the work of Gustav Klimt. After dinner, relax or enjoy an optional classical concert. Enjoy a day at leisure in Vienna. Perhaps see an unrivaled collection of Old Masters at the Museum of Fine Arts, or visit the Albertina. Maybe ride the Riesenrad, the world’s oldest Ferris wheel. 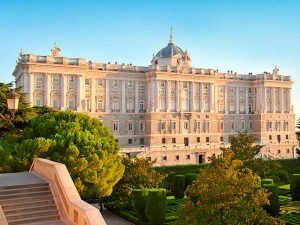 Alternately, you may join an optional tour to Schönbrunn Palace, the “Versailles of Vienna,” or enjoy a Viennese waltz lesson as well as visiting the palace during a full-day optional excursion. A cup of coffee or tea and a slice of exquisite Sachertorte are a must for any afternoon in Vienna. Later, rejoin your ship and sail for Budapest. The Danube River divides Hungary’s capital city into the once separate towns of Buda and Pest. Explore both sides, starting with Pest’s National Opera House and historic Heroes’ Square. In Buda, walk along Castle Hill to Fishermen’s Bastion and Matthias Church. Enjoy lunch on board your ship, with the rest of the day to explore on your own. 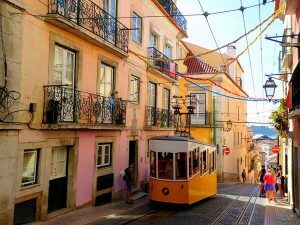 Alternately, choose one of our optional excursions designed to allow you to delve deeper into the history, culture and cuisine of this fascinating city. Return to your ship for a traditional Hungarian dinner. Sadly today marks the end of your Europe holiday. After breakfast, you will be transferred to Budapest Airport in time for your flight home. Arrive back in Australia this morning on your flight from Europe. Flights are included from all departure cities shown as required. These are based on Emirates ‘U’ Class Economy airfares, and are subject to availability at the time of your booking confirmation. Within 70 days of departure – 100% of total booking value. 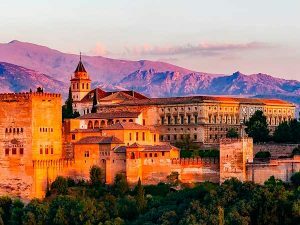 Join us on a spectacular holiday featuring the very best of Spain & Portugal and an amazing Azamara cruise around the Mediterranean from Barcelona to Rome! 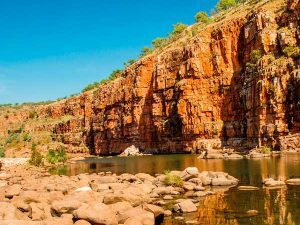 Enjoy a tour through Western Australia’s magnificent Kimberleys region, travelling from Broome to Darwin. 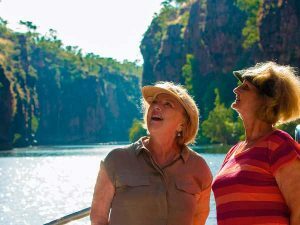 Includes a scenic flight over the spectacular Bungle Bungles Range. 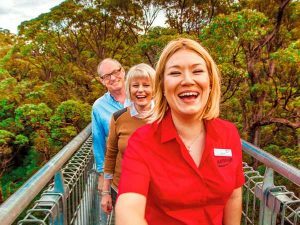 Take a magnificent journey into the rugged Cann River Forests and along the East Coast to Mallacoota. 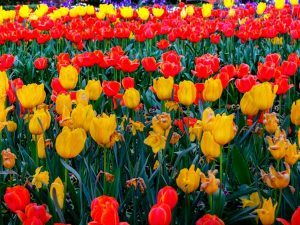 Explore the sensational Canberra Floriade in its full glory before returning via the stunning Snowy Mountains. 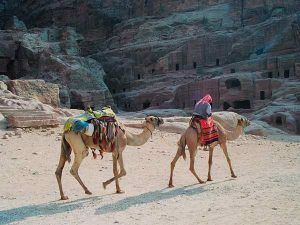 See the famous Pyramids, sail down the spectacular Nile River and be awed by Petra on an adventure through 2 of the Middle East’s most iconic countries. 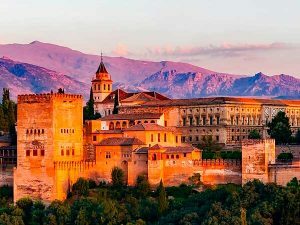 Experience the intoxicating scents of spice & the warm Mediterranean sun on a memorable voyage through some of Spain, Portugal & Morocco's stunning landscapes. 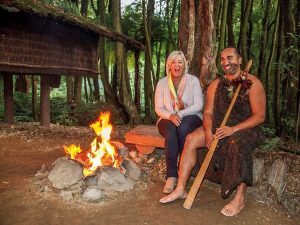 Explore more of spectacular New Zealand on our best value for money coach touring experience ever, taking in the highlights of both the North & South Islands. 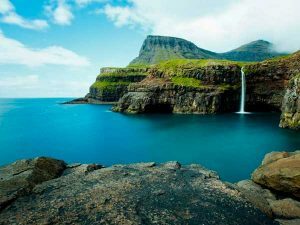 Explore Iceland, a country of magnificent landscapes that must be seen to be believed! Our holiday includes a 2 night stay in London and a 12 night cruise aboard the spacious Magellan. 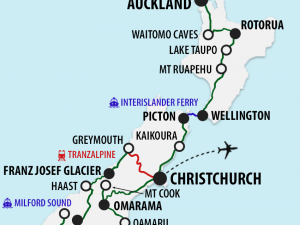 Travel around the spectacular Southern Alps as you take in the highlights of New Zealand's South Island. 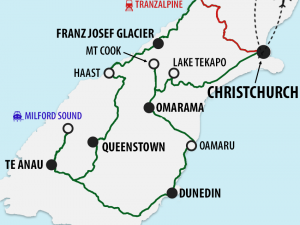 Enjoy a cruise on Milford Sound, a highlight BBQ dinner, glacier tour & trip aboard the TranzAlpine train. 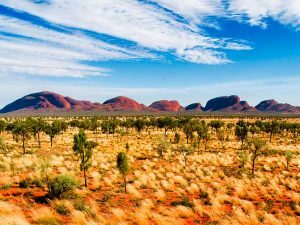 Traverse Australia’s spectacular Outback on a journey from Adelaide to Darwin, visiting iconic Territory destinations such as Coober Pedy, Alice Springs, Uluru, Kings Canyon, Katherine & Kakadu. 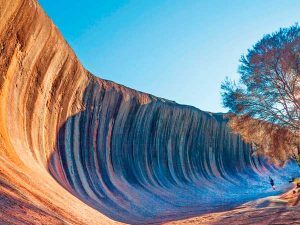 Experience the best of Western Australia’s beautiful southwest region & west coast before travelling across the Nullabor Plain to Adelaide aboard the Indian Pacific. 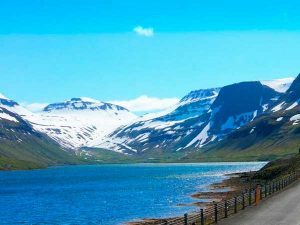 © 2019 Holiday Wonders Travel & Cruise. Part of the Holiday Wonders Group. ATAS Accreditation A11725.